Very macabre, Strangelovey. 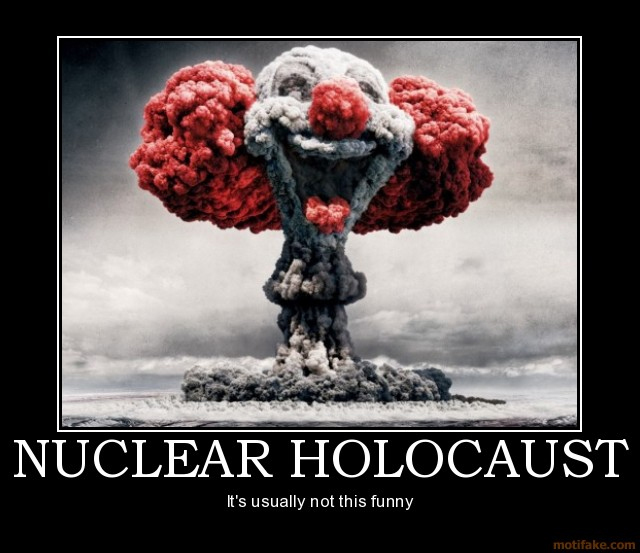 Digging the dark humor. It's not my work. I posted it to illustrate a point in some thread. Don't recall anymore. Probably ought to take it down. Message edited by author 2011-12-10 17:23:53. Proudly hosted by Sargasso Networks. Current Server Time: 04/23/2019 04:46:22 PM EDT.